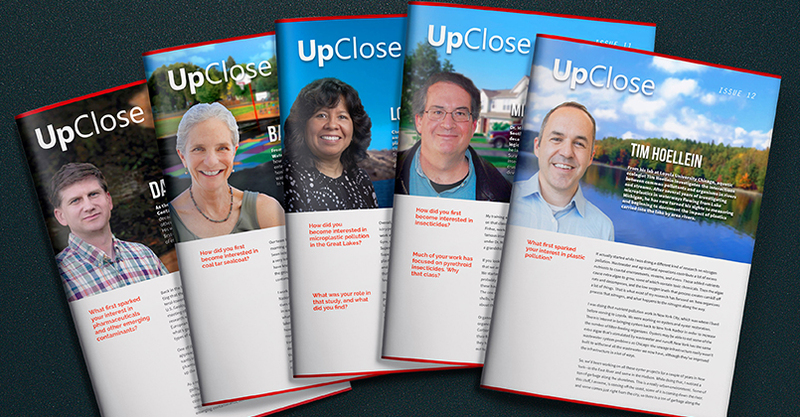 Launched in 2012, the UpClose interview series delves into the science at the core of the Illinois Water Resources Center (IWRC) and Illinois-Indiana Sea Grant’s pollution prevention program. Each edition of the award-winning series highlights a unique component of research on pharmaceuticals and personal care products, microplastics and coal tar sealcoat— everything from tracing their sources to understanding their impacts on aquatic ecosystems to designing new wastewater treatment technologies. The complete series, including interviews with the U.S. Geological Survey’s Dana Kolpin and Barbara Mahler, is available at iwrc.web.illinois.edu/upclose.